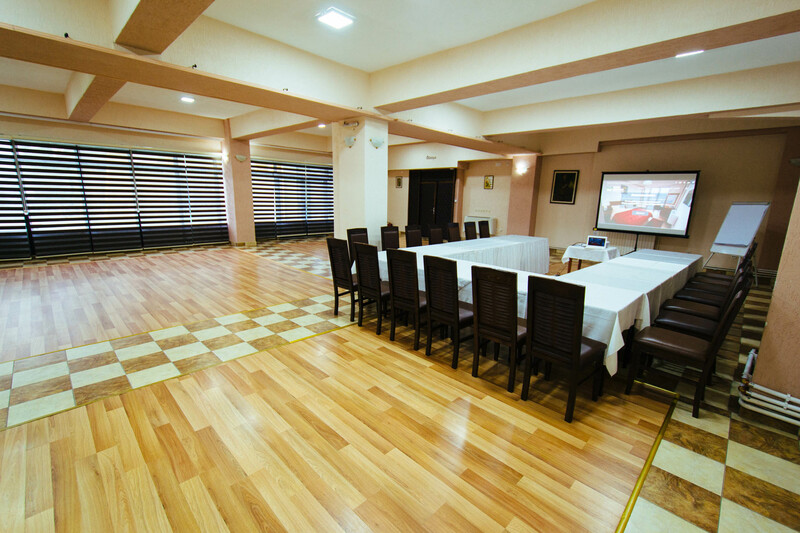 A quiet and large meeting room with equally huge terrace overlooking the town. 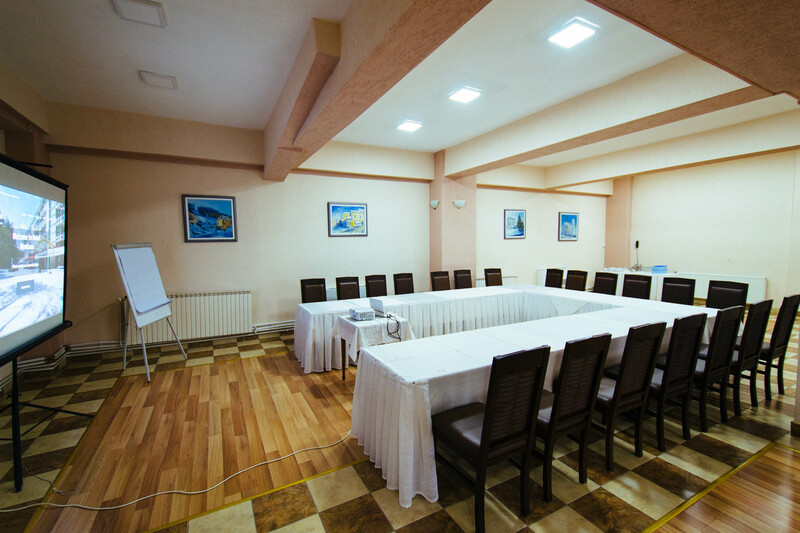 For the purpose of hosting many educational and team building activities we have enabled our large meeting room, with enormous terrace overlooking the town. Seating can be arranged in many ways, and depending on the arrangement it can accommodate from 20 to 100 guests. Its location is on the floor bellow our lobby area. This location makes this room a very quiet place. This large meeting room has it's own set of toilets so as not to be disturbed by other guests, and to reduce the time needed for breaks. The terrace is suitable for coffee breaks, morning exercises, team building activities, and you can even take the entire activity outside. It is as big as the large meeting room inside. 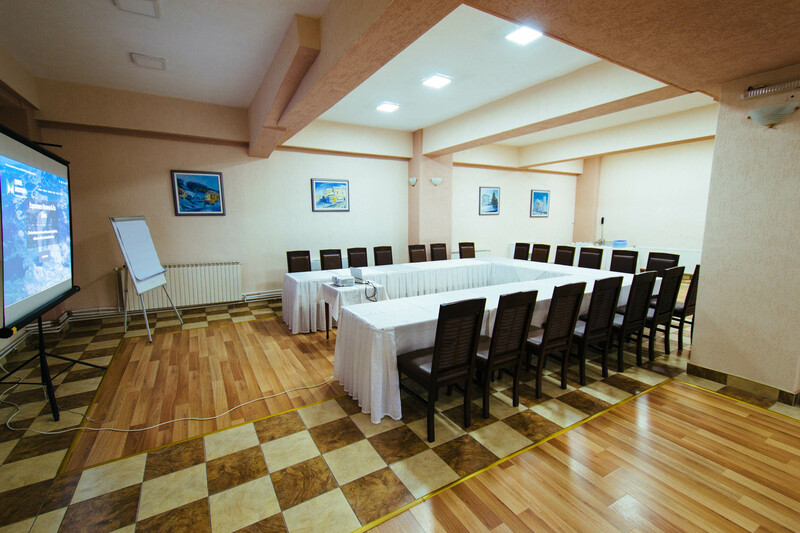 If you make a reservation you can expect to get this large meeting room preheated in winter and you can easily regulate the temperature in the facility. During summer it never needs to be cooled down, due to the favorable climate of our hotel. The windows are covered by day-night type of screen, giving you the ability to come close to complete darkness inside the area if that is needed for your event. The entire area is covered by the faster type of WiFi connection AC WiFi, which makes it easy to do live streaming if you do it via a newer type of device supporting this type of WiFi connection. Don't worry if your device is older, the old type of WiFi networks are still supported. This room is equipped with phone line, so that you can easily call our pub to order drinks or food, or the front desk for additional requests. On request we can provide an exit line for additional charge. With it's big terrace and hard floor this area is ideal for many team building activities conducted in closed and open areas. The quiet location and huge terrace with wonderful view make this location as the most appropriate for educational activities where you could have groups of participants from 30 to 80 people. There is an option to artificially darken if you have a need to project content which is sensitive to light. If you need to conduct a private meeting in a quiet environment, this is one of our best places. 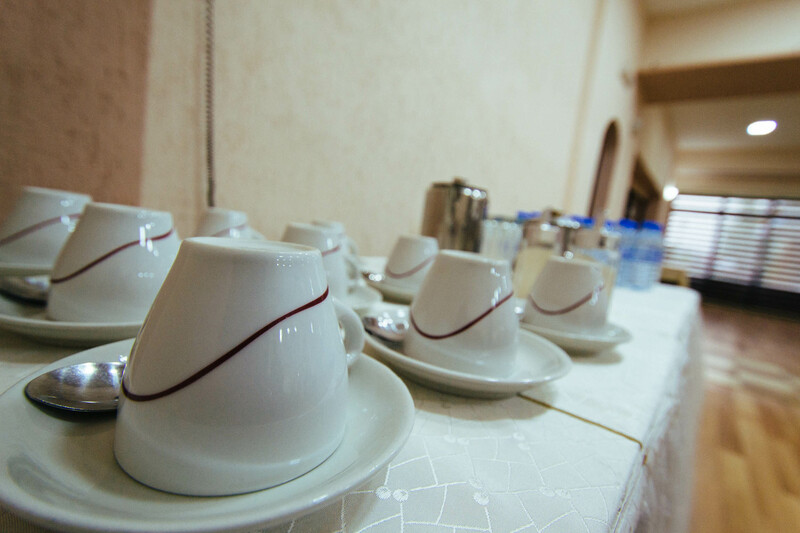 Usually it is used for meetings of larger groups of around 30 - 50 people.